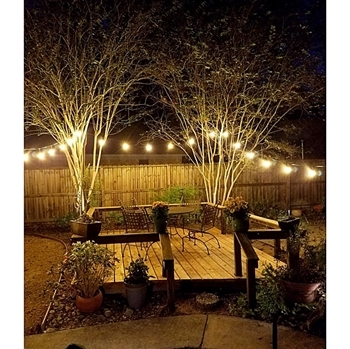 IlluminFx PL16 Patio Lights are traditional outdoor string lights with long-lasting energy efficient antique white LED Filament lamps. Get the same, classic look with all the benefits of LED Lighting. Each string comes with 24 Edison S14 LED Filament lamps that consume a total of 36 watts. Backed by a two-year warranty.